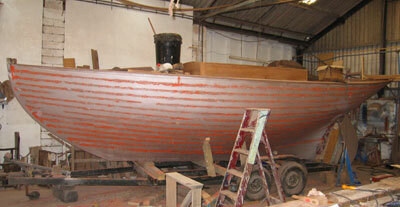 add your boat to our growing list of classics for sale by emailing your details to us. 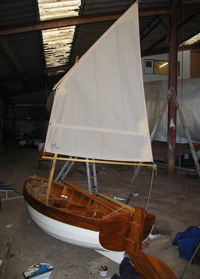 Perfect for messing about on ponds, lakes, estuaries, rivers and the sea Traditional Sail are currently producing traditionally hand built 8' clinker dinghies in a range of SOLID WOODS. 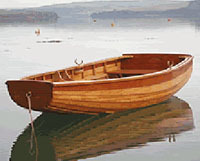 Fastened in copper and bronze throughout on steamed oak timbers these classic dinghies are ideal as a tender stowed on davits or chocks on deck and light enough to be transported on the roof of a car. Delivery time is approximately four weeks. 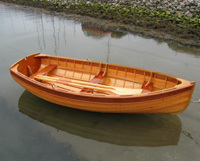 * We have a four week delivery time on each boat but please call to find out if we have one in stock. 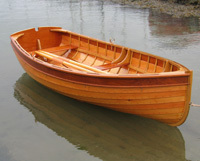 * If you can't collect your boat we can quote for delivery by our own transport or courier at the time of ordering. 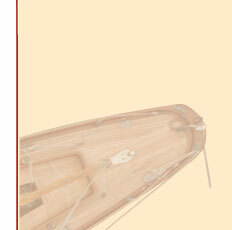 La Bonne, meaning "nursemaid", was built to sail in the Nursery Class which was suggested by Herbert Reiach (MINA), the founding editor of Yachting Monthly, in 1917. His aim was to create a class of small cruiser racers which would encourage young men to take up sailing again when the (1914 - 1918) war was over. 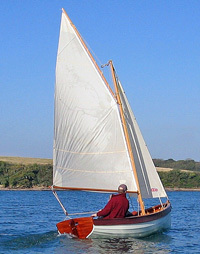 La Bonne was T Harrison Butler's 1917 design, Albert Strange also designed for this class. 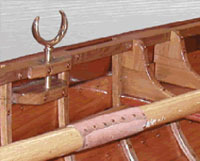 She was the only boat to be built to this design and therefore unique. 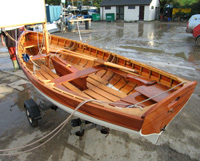 She was launched in 1919 on the Solent. Please see 'about us' to see line drawings. 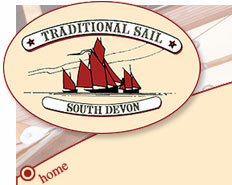 Please telephone 01548 844284 for further information or email info@traditional-sail.co.uk. 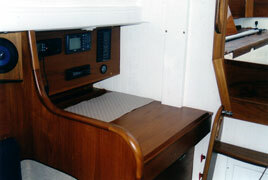 Have this beautiful 27' boat fitted out to your specifications... or taken to any stage of construction to suit... or finish the interior yourself ... Because the coachroof is timber, built on to the one-piece deck and cockpit moulding, there is plenty of scope for customising including having a flush deck or extending the coachroof forward of the mast allowing ample headroom in the heads and forepeak. It's up to you. Please telephone for full specification and to talk through your requirements.